Hyesun is a Ph.D. candidate in the School of Journalism and Mass Communication. 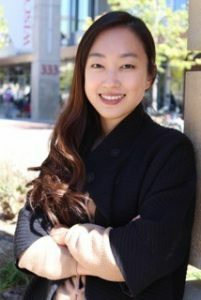 Her research interests focus on three areas of inquiry: (1) how individual motivations, predispositions, and emotions affect the way in which people process information; (2) how message frames affect the audience’s understanding of public affairs; and (3) how to build persuasive message frames for political and health applications. Her work draws on theories from social psychology, political communication, health communication, and persuasion, applying methodological approaches that are largely quantitative in the form of experiments, surveys, and content analyses.